While the team manager and team treasurer can provide valuable help in planning the meeting, the coach should be the lead person facilitating the first team meeting. A well-designed meeting at the beginning of the playing season can clarify expectations, establish realistic goals, and set a positive tone for a team, its players, and its parents. Read on to learn how to set yourself up for success at this important first team meeting. Introduce coaches, players, parents, and families to each other. Outline the coaching approach and team calendar of activities for the season or for the year. Collect initial team and club fees (if not done on-line). Recruit and identify key volunteers to support the team. It is especially helpful if the coach has identified two key volunteers before the team formation meeting: team administrative manager and team treasurer. The coach, team manager, and team treasurer are encouraged to plan the first team meeting together, including collaborating on developing the agenda and information to be shared at the meeting. They should also become familiar with club policies and procedures for registration and other team operations prior to the meeting. While the team manager and team treasurer can provide valuable help in planning the meeting, the coach should be the lead person facilitating the first team meeting. The coach sets the tone for the team. Introductions of the coaching staff, players, and key team and club volunteers. Coaching and training approach and major goals for the year that are appropriate for the team, age group, and competitive level. Clarification of expectations for players, parents, volunteers, and coaches. Team calendar for training, league and tournament competitions, special events, and breaks and rest periods from formal training. How to register players and pay team, uniform, and club fees, including an explanation of policies regarding payments, financial aid, and refunds. Team communications, including the use of team and club websites, and how to constructively resolve concerns and problems should they arise. Team and club volunteer needs and how to sign up. INFORMATION: What information needs to be shared for each agenda item? How is the best way to communicate that information? Who is the best person to present that information? OUTCOMES: What is the outcome needed for each agenda item? Is it simply sharing information? Do people need to take a specific action, like pay a team fee, volunteer, or order a uniform? TIME: How much time is needed to address each topic on the agenda? Although some information can be communicated in about five minutes, remember that people will have questions. Returning players and families may have an idea of how things are typically done on your team or in your club. New players and families may not. In addition, coaches, returning team managers and long-time volunteers often know internal club norms that are not widely known. Do not assume that everyone knows the details that have become second-nature knowledge to club insiders. When deciding how much time is needed for each agenda item, include time for both presentations and questions. A good rule of thumb for initial team meetings is to plan the same amount of time for information sharing or presentation as for questions and discussion (a 1:1 ratio). For example, if there is 10 minutes allocated to talk about how uniforms are ordered, purchased, and delivered, set aside another 10 minutes for questions from players and parents. Avoid dropping below a 2:1 ratio of presentation time to question time, such as 20 minutes for a presentation followed by 10 minutes for questions. The risk of building in too much question time is that you will end your meeting early. If you must create five-minute agenda items, do not put multiple five-minute items in sequence. This increases the probability of running behind time with your agenda and making your meeting last longer than planned. Capture key information from the team formation meeting in handouts to share with those at the meeting and those unable to attend the meeting. These can also be used as references and reminders during the playing season or playing year. Expect to spend as much time planning your team meeting as you spend at the team meeting. Developing a meeting agenda, gathering information and creating handouts, inviting people to speak, and sending out invitations and other communications take time. Do not shortchange this effort. Quality meeting planning it pays off in laying a good foundation for a productive meeting that takes less time to conduct. Who doesn’t appreciate a shorter meeting? At least a week prior to the meeting (earlier if possible), send your players and families the date, time, location, meeting agenda, and directions to the meeting location. Specifically identify what you want people to bring to the meeting, such as credit/debit cards to pay fees, medical release and concussion forms, proof of birth, and family calendars to schedule upcoming events. You may also choose to send out additional information or handouts on specific meeting topics. This helps people be better prepared, focus information sharing and discussion, and manage meeting time more effectively. The coach is the leader of the team on and off the field. While there are three critical organizational components and roles in a club that may be filled by a variety of people (coaching, administration, and governance), at the team level, the coach is in charge. Therefore, the coach is the primary leader of the meeting. 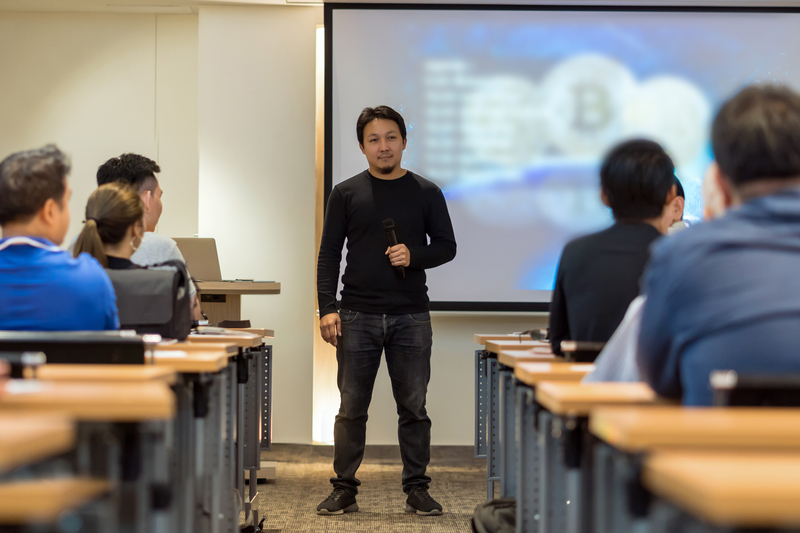 He or she may present most the information at the meeting, or act more as a master of ceremonies and facilitate several other speakers and presenters. Keep presentations concise. For those topics that require follow-up on the part of players or their families, clearly communicate what actions are needed and by what date. If a question comes up for which the answer is unknown, an answer of, “I don’t know, but I will find out” will gain significantly more trust and credibility than by trying to bluff through an unsure answer. For many teams, it is important to collect at least a portion of the fees during on-line player registration or at the meeting so the team has funds to register for tournaments, purchase equipment, and fund other early-season expenses. Allocate time during or after the meeting to ensure this is addressed. Close the meeting with reminders of what players and parents need to do to follow-up on specific topics. In addition, the coach should recap the next steps to find answers to unanswered questions or distribute additional information in response to meeting discussion. After the meeting, make sure to keep the commitments made at the meeting. Ruth Nicholson is the founder of GO!, a 24/7 Asset and Training Library offering youth soccer organizations proven leadership and administrative tools. It includes resources to help plan and manage a variety of meetings, including team, Board of Directors and committee meetings.